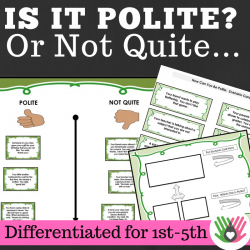 IEP Goals: Given social scenarios in which the responses provided are either "polite" or "not polite", STUDENT will determine which response is appropriate by classifying it as "polite" or "not polite" , with 80% accuracy, in 4 out of 5 scenarios, by MONTH, YEAR. 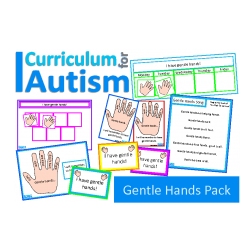 IEP Goals: Given visuals, a reward chart, and scripted chant (song)about having "kind hands", STUDENT will use these visual and verbal strategies to keep calm, quiet hands throughout the school day, over the course of a school week in 4 out of 5 days, by MONTH, YEAR. 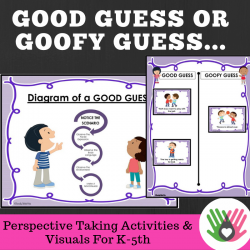 IEP Goals: Given a statement that requires STUDENT to guess or determine what happened or what will happen by providing a response that is a "guess", STUDENT will provide a reasonable scenario or "good guess" instead of a "goofy guess", in 4 out of 5 scenarios, with 80% accuracy, by MONTH, YEAR. 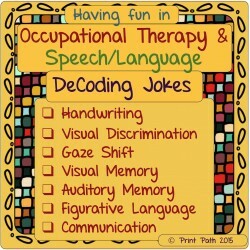 IEP Goals: Given statements read aloud or read to self, STUDENT will determine if the statement is fact, fiction, or a prediction (of what might happen) by saying, writing, or using a voice-output device to state what it is, with 80% accuracy, in 4 out of 5 opportunities, by MONTH, YEAR. 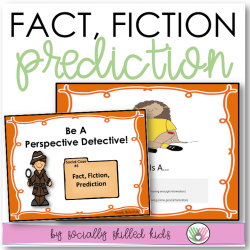 IEP Goals: Given a scenario, STUDENT will provide a factual statement, fiction statement(something that can be made up about the scenario), and a prediction statement based upon what happened in the scenario, with adult prompting,in 4 out of 5 events, by MONTH, YEAR. 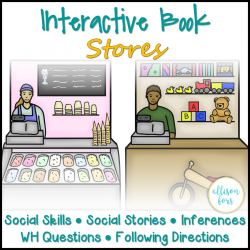 IEP Goals: Given a scenario and a role playing situation, STUDENT will say what they think or explain how they feel by engaging in a conversational exchange with a peer, by independently responding in 4 out of 5 exchanges, by MONTH, YEAR. 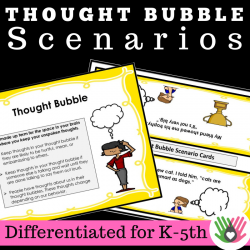 Given a scenario in which unexpected behavior or challenges occur, STUDENT will provide an appropriate response offering a solution to the problem, in 4 out of 5 scenarios presented, by MONTH, YEAR. 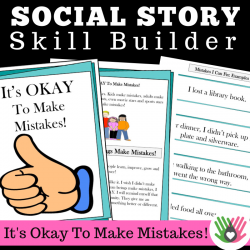 IEP Goals: Given a social story and strategies, STUDENT will read, or refer to the social story and strategies in order to accept, calm down, or reinforce that it is okay to make a mistake, with 80% accuracy, in 4 out of 5 opportunities, by MONTH, YEAR. 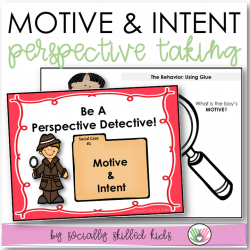 IEP Goals: Given a social scenario containing a motive and intention, STUDENT will state how he/she perceived the event or action and acknowledge what the intent was by using clues and stated information, with 80% accuracy, in 4 out of 5 opportunities, by MONTH, YEAR. 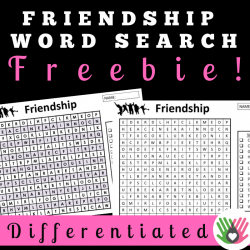 IEP Goals: Given a word search activity with a theme and a list of words to mark or circle, STUDENT will independently complete the task, with 80% accuracy, in 4 out of 5 opportunities, by MONTH, YEAR. 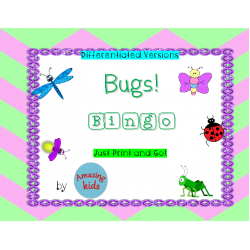 IEP Goals: This is a FREE PARENT RESOURCE courtesy of Angie S.
Given visuals to communicate wants or needs, STUDENT will present the picture card by raising his/her hand, showing the card to an adult, or verbally expressing the need, with 80% accuracy, in 4 out of 5 opportunities, by MONTH, YEAR. 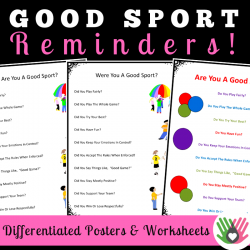 IEP Goals: Given a visual reminder card stating the qualities of being a "Good Sport", or playing a game fairly, STUDENT will refer to the visual card prior to, and after the event (game) has occurred, in order to demonstrate understanding of playing fairly with peers and emotional responsibility, in 4 out of 5 trials, by MONTH, YEAR. 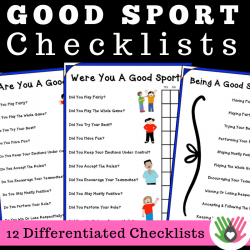 IEP Goals: Given a checklist as a reminder of the qualities demonstrated of being a "Good Sport", or playing a game fairly, STUDENT will refer to the checklist prior to, and after the event (game) has occurred, in order to demonstrate understanding of emotional responsibility, in 4 out of 5 trials, by MONTH, YEAR. IEP Goals: Given a social situation or problem to solve which requires a decision to be made as to what should be done (how a person is expected to react), STUDENT will provide an appropriate response in 4 out of 5 opportunities, by MONTH, YEAR. Given a familiar setting (toy store, clothing store, etc. ), objects which belong in a particular setting, along with a 3-step direction, STUDENT will place each item in the appropriate position, with 80% accuracy, in 4 out of 5 opportunities, by MONTH, YEAR.